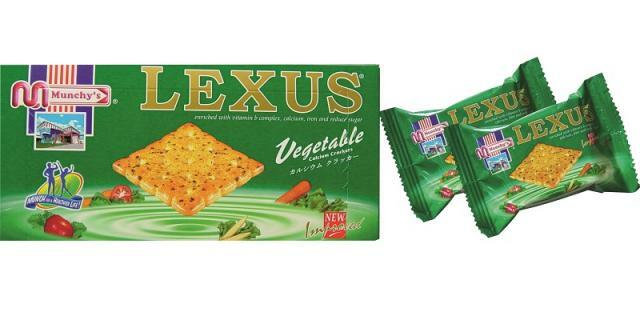 Snack crackers are successful in every market, savoury, light and crispy with oil spray. 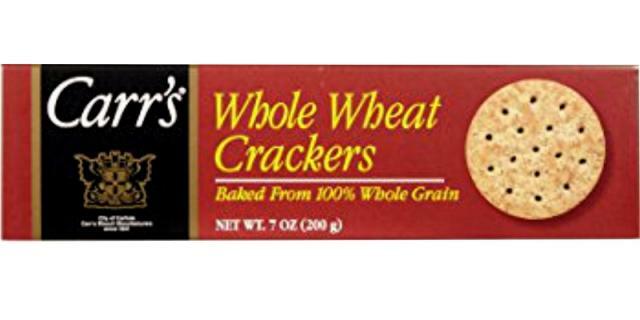 Ingredient list : Wheat flour, palm oil,sugar, raising agents (ammonium hydrogen carbonate, monoclacium phosphate,potassium hydrogen carbonate), salt, barley malt flour, glucose-fructose syrup, acidity regulators (potassium chloride, sodium gluconate). Note: Adjust temperatures of mixer water jacket and ingredients to achieve the finished dough temperature of 33oC, which is important for maximum enzyme activity. After mixing, the dough is stood to allow the enzyme to react with the gluten. The standing time is about 3.5 – 4 hours at 32oC and RH 70-80%. 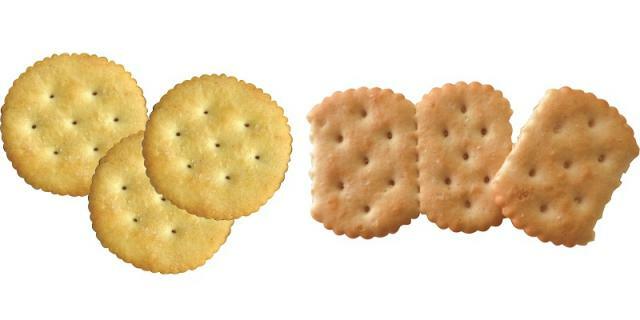 The time must be determined carefully depending on the amount of enzyme and the quality of the flour in order to achieve the soft, delicate eating texture of the cracker. The dough is laminated with 4 - 6 laminations, approximately 3 mm thick. Baking time 3.5 - 4.0 mins. Crackers are sprayed immediately after baking with coconut oil at 60oC. 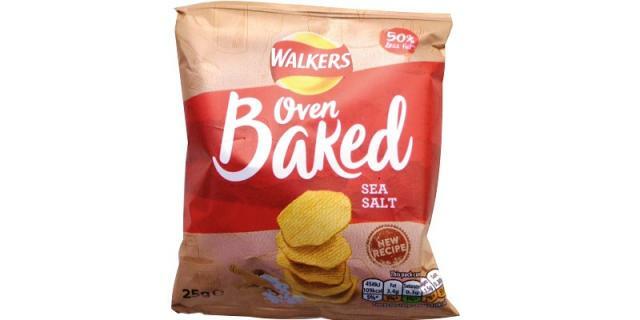 A crisp, very light bite with salt and savoury flavours. (ammonium bicarbonate, sodium bicarbonate), sugar, flavouring, dried whole egg, dried whey, salt. Baking time 4.5 - 5.0 min. 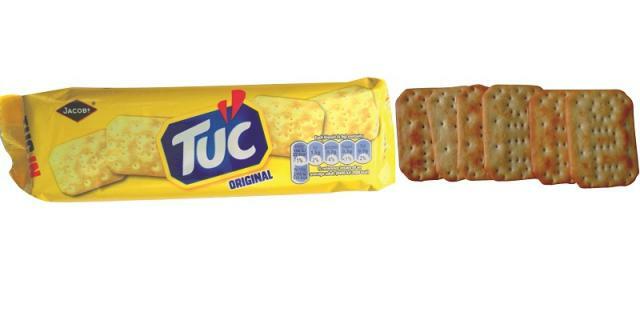 Oil content up to 17% of biscuit weight. 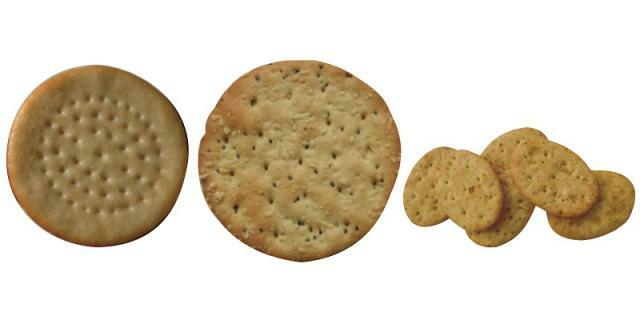 A light, crispy cracker texture with three separate layers. The centre dough is coloured. 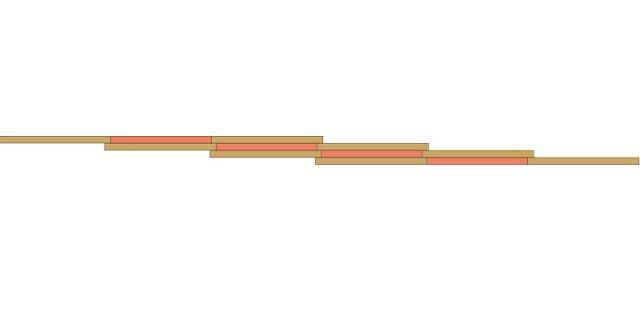 Recipe (1) is an enzyme cracker suitable for sheeting. Recipe (2) is fermented for 18 hours and should be laminated (see forming with a cut sheet laminator). Flour should be weak with a protein content of 8-9% for outer dough for recipe 1. After mixing the dough is stood to allow the enzyme to react with the gluten. The standing time is about 3 hours at 35oC. 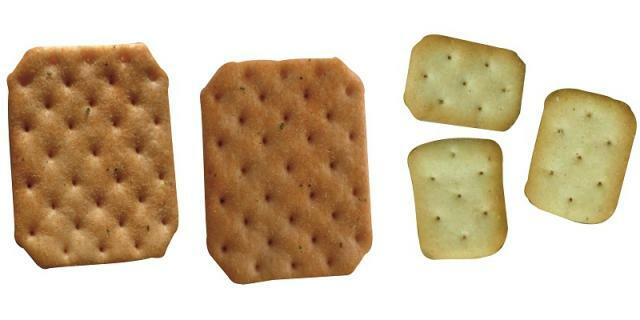 The time must be determined carefully depending on the amount of enzyme and the quality of the flour in order to achieve the soft, delicate eating texture of the cracker. 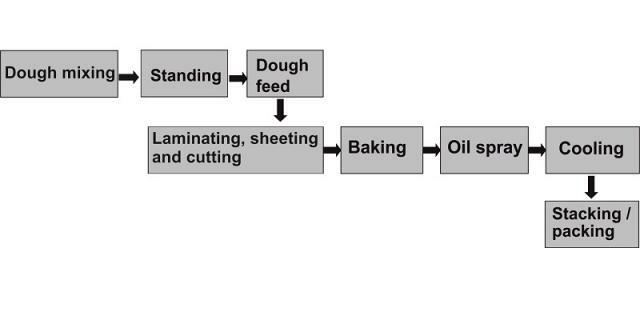 The dough is sheeted, gauged and cut, (laminating is not required for recipe (1). 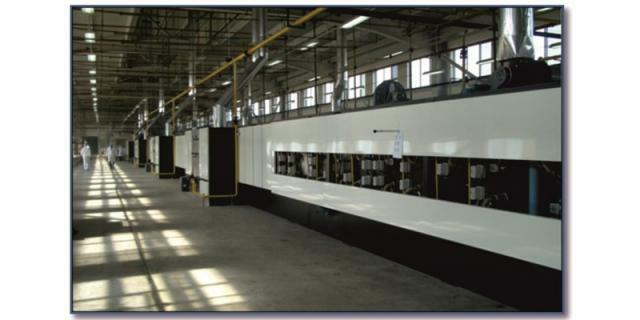 The process is not ideal as the 3 sheets will produce a combined thickness of around 30mm. Three gauge roll units are not sufficient to reduce this dough sheet to the cutting thickness of 2.0mm without excessive reductions. 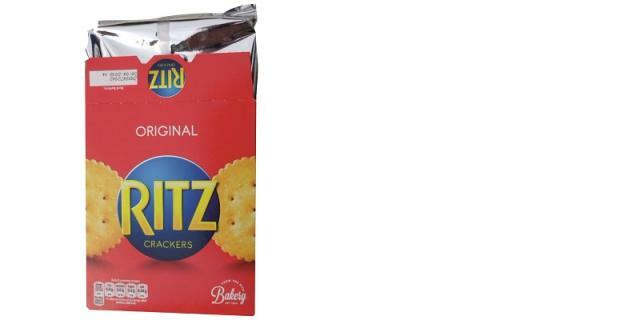 This will reduce the spring and open texture of the cracker. An alternative forming method, which is now favoured is described below. 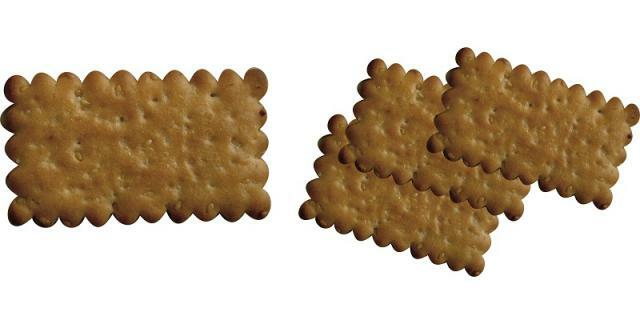 Three layer crackers may be laminated on a cut sheet laminator. The hopper is divided into 3 sections. The two outside sections contain the outer dough and the centre section contains the inner dough. 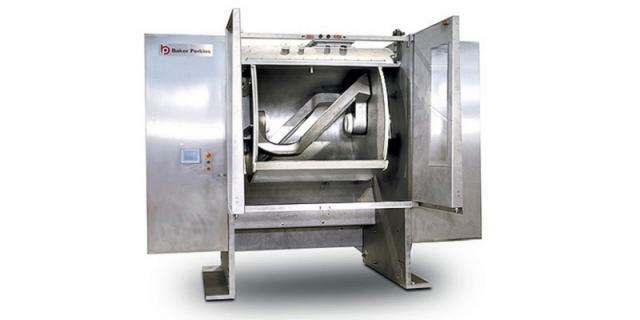 A single dough sheet is produced by the 3 roll sheeter with the outer and inner doughs. The cut sheets are laid so that the inner dough is covered at the top and bottom by the outer dough. 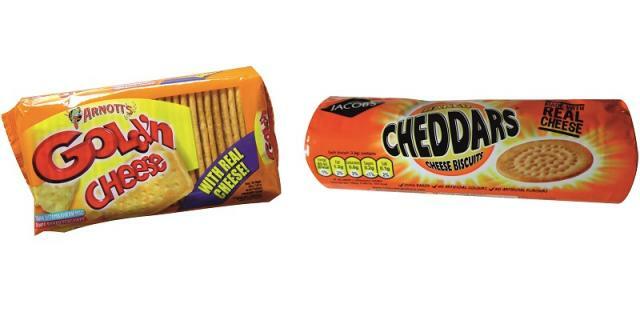 The resulting laminated sheet is gauged and cut in the same way as other cracker doughs. This system gives a good cracker texture and appearance with the contrasting colour in the centre. 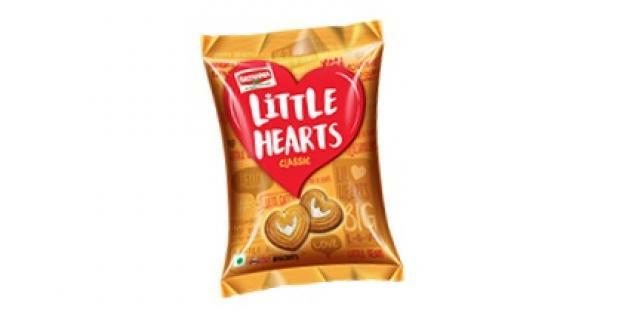 Cheese crackers are one of the most popular categories of snack crackers, savoury, light and crispy with oil spray. Savoury crackers are mixed on horizontal mixers and the dough is stood to allow the action of the proteolytic enzyme on the gluten. Forming is by sheeting and cutting. Baking is on a Z47 wire-mesh band. 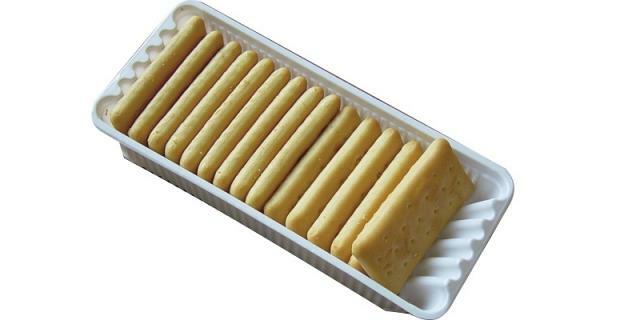 The crackers are oil sprayed immediately after baking. Flour should be weak with a protein content of 8-9%. Oil for spraying: coconut oil or palm kernel oil are suitable and have a good resistance to rancidity. Similar products can be made using SMS (sodium metabisulphite) in place of the proteolytic enzyme. The SMS increases the extensibility of the gluten and does not require the 3 hour standing time. 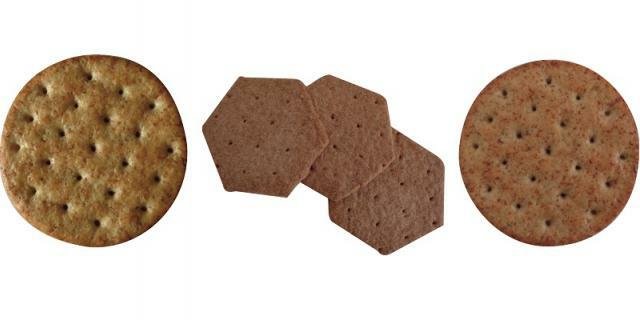 This product can also be made using the soda cracker recipe. 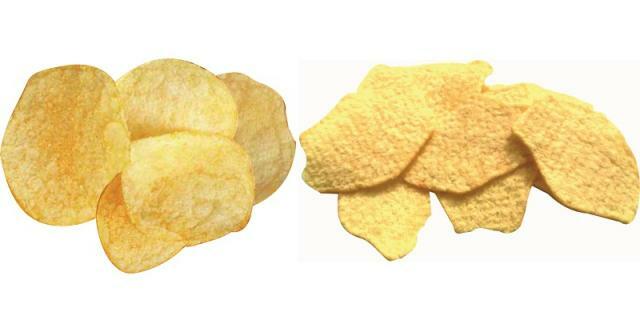 This will give an open texture and very crisp bite. Temperature of about 40o C for SMS doughs. The vegetable flakes may be mixed into the dough. Doughs made with SMS do not require a standing time. The dough is sheeted, gauged and cut, (laminating is not required). If the vegetable flakes are to be sprinkled, a suitable sprinkler unit before the final gauge roll is required. Baking time 4.0 – 5.0 mins. The oil spray should be located immediately after the oven. An application of 10 – 16% of coconut oil is recommended. 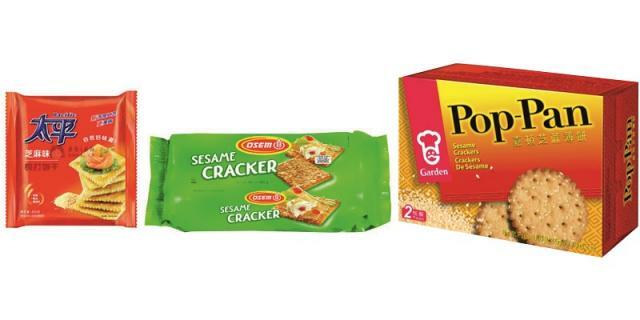 A light, crispy cracker texture with sesame seeds deposited on top of the biscuit. 1. Flour should be weak with a protein content of 8-9% for recipe 1. 2. Recipe 2 uses a strong flour. 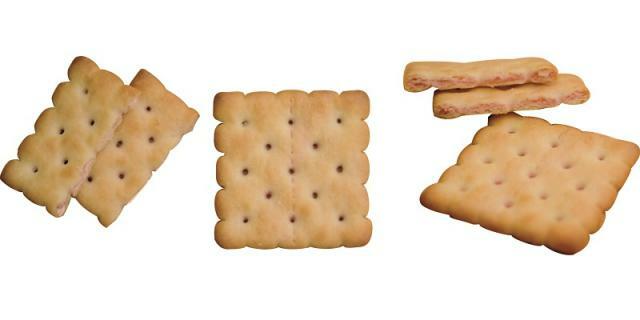 Recipe 1 is a "Ritz" type recipe. 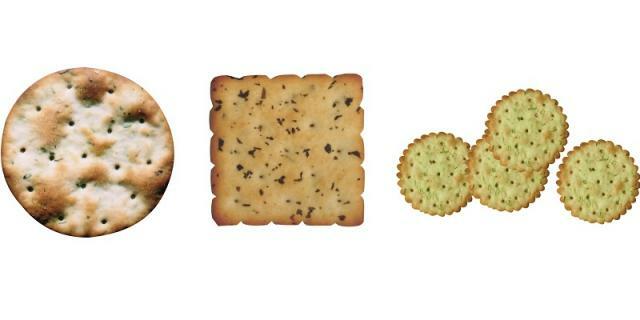 Recipe 2 is a soda cracker type recipe with a 12 hour fermentation time (not sponge and dough). The seeds can be sprinkled before the final gauge roll, which will press them into the dough sheet. Alternatively the wash-over unit is used to apply water to the dough pieces and then the seeds are sprinkled before transfer to the oven. 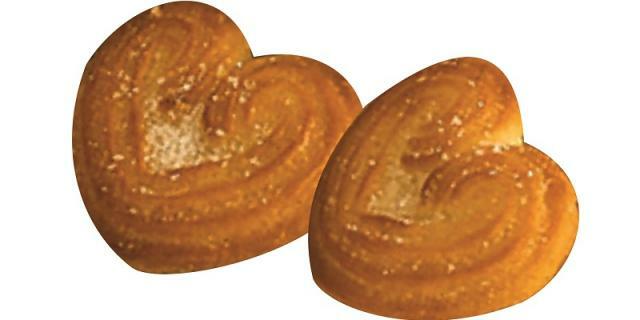 Wholemeal wheat flour, butter, wheat flour, sugar, salt, barley malt flour, sodium bicarbonate, glucose syrup, dextrose. 2. Add 60% of the water at 50oC and mix. 3. Add 33% of the potato flakes and the remaining water and mix. 4. Add remaining potato flakes and the soda and mix. The dough is sheeted very thin and rotary cut. Direct Gas Fired oven with a pre-heated Compound Balanced Weave band. Baking time: 3 minutes. Mix all ingredients except the enzyme and ammonium bicarbonate to a cream. Add flour, ammonium bicarbonate, enzyme dissolved in 200ml of warm water and mix. Rest the dough for 1-1.5 hours. 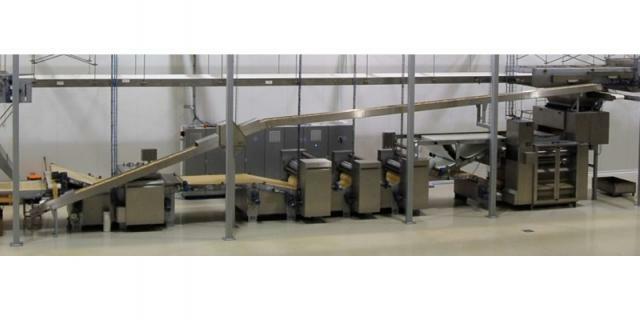 Laminate up to 11 layers, followed by 3 gauge rolls and single roll cutter. Add fine caster sugar up to 19% of dough piece weight. Adjustment of extraction, turbulence (closed) and zone temperatures is required to avoid the sugar dropping on the oven band.